Kids around the world love, and look forward, to Christmas – Christmas lights, Christmas songs, the anticipation of Santa’s visit. 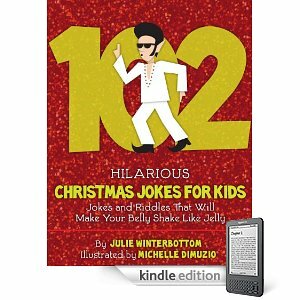 102 Hilarious Christmas Jokes For Kids – Jokes and Riddles That Will Make Your Belly Shake Like Jelly is a fun-filled book with jokes and riddles about all things Christmas. This book could easily become your kids’ new family tradition – telling jokes every Christmas.